NEW YORK - Some parents say, no matter what you do, kids just won't eat their vegetables. In an effort to coax children to eat better, parents have long disguised veggies under cheese sauce, peanut butter and the like, with varying levels of success. While that might seem like a short term fix to a long term problem, a new study suggests those tricks have lasting benefits. Pairing unpopular vegetables with something kids like better may condition them to eat more vegetables down the road. The study found that preschoolers introduced to Brussels sprouts alongside cream cheese to spread on the bitter vegetable were more likely to say that they liked the sprouts and ate more of them, even when they were later served plain. The strategy of pairing something new with something a person already likes is known as associative conditioning and could be helpful in encouraging kids (and adults) to eat more fruits and vegetables, the authors say. 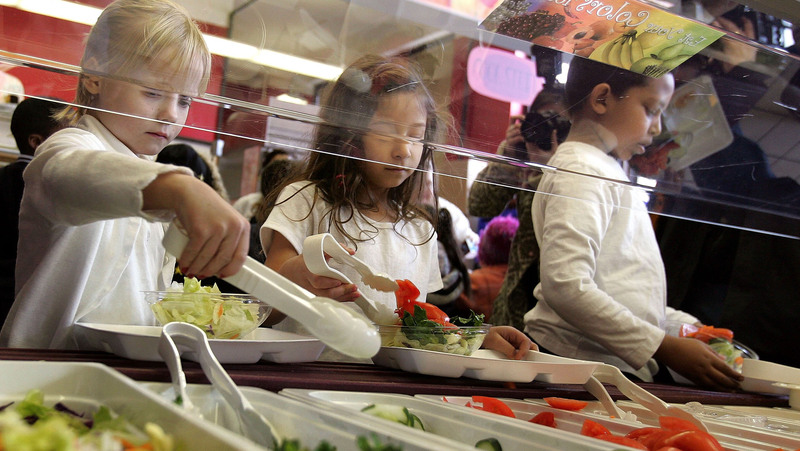 "This has the potential to change the eating habits of children, including eating more vegetables, and this in turn will affect childhood obesity," said Elizabeth Capaldi-Phillips, a psychologist at Arizona State University and lead author of the study. In the study, parents of 29 children between the ages of three and five years old filled out a survey about the kids' views of 11 vegetables, including whether they liked or disliked the vegetable, or had never tried it. Cauliflower and Brussels sprouts were among the vegetables most children had not tried, and were selected as the ones used to gauge children's preferences in the study. The children were given either cauliflower or Brussels sprouts once per day for seven days, and ate in a group of five or six children that was led by a researcher or teacher. The vegetables were all boiled, then were either served plain, with unsweetened cream cheese or with sweetened cream cheese. The researchers found that children given Brussels sprouts with cream cheese during conditioning liked them significantly more later on than the children who did not get cream cheese. Fewer than one in five kids given plain sprouts said they liked the vegetable, whereas about two-thirds of kids who got sprouts with either type of cream cheese said they liked the vegetables. The children liked cauliflower better overall, and about equally whether or not it was served with cream cheese. After the conditioning period, when children were given the plain vegetables, those who had previously said they "liked" Brussels sprouts ate more of them than kids who had expressed dislike. Such a flavor-pairing strategy could work, not only for Brussels sprouts, but other vegetables and foods of other kinds, they suggest. "Children develop food preferences at a young age, yet tend to be really picky at this age, so it's important to sustain healthy habits which will persist into adulthood," Devina Wadhera, also a researcher at Arizona State University and the study's other author, told Reuters Health. "It's our job as parents, as educators to get them to accept new foods at this time," she wrote in an email.